Today I will be writing short quick review on My current favourite NYX collection Noir black liquid liner this COLLECTION was launched long time back and it had 8 type of different liners from matte pearl to pencils and liquids. I got my hand on their Liquid liner. I have heard such amazing reviews about this liner. I think its one of the Aamazzingg.. liner you can get from drugstore. 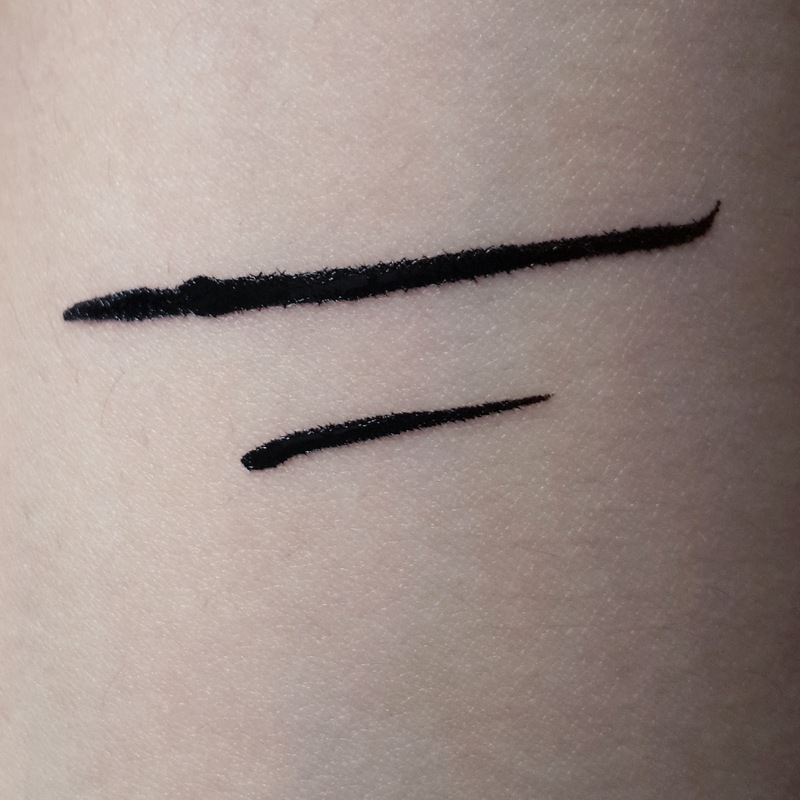 I really needed intense black liquid liner having a good thin precision tip and finally I got it. "A black eyeliner collection that consists of ALL types! Choose your beauty ammunition - from skinny to big and glossy to matte, it's your world! The collection carries eight different formulations of sleek black eyeliners, from matte, satin, glossy pencils to liquid and powder eyeliners. 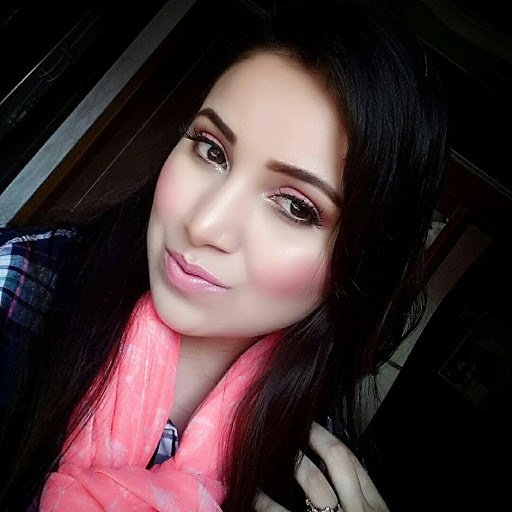 The collection offers various types of eyeliners that applies smooth and effortlessly for lasting and dramatic wear." This liner comes in small plastic tube with long applicator. I always liked using felt tip liners or gel liners as they are easy to work with. But this particular liner has got a thin brush applicator and that makes it more easy to achieve even bold wing liner. I can create any look using this liner. I don't have to swipe over and over again to get that bold dramatic liner. Its dark intense black which can work even on eyeshdaows. Its neither glossy nor matte. It has got no shimmer in it. The texture is smooth and glides effortlessly. It does not flake. There is no budging or smudging of liner observed. Stays on for almost full day. The only drawback I found is that its not waterproof liner. And can smudge if you try to rub your eyes. 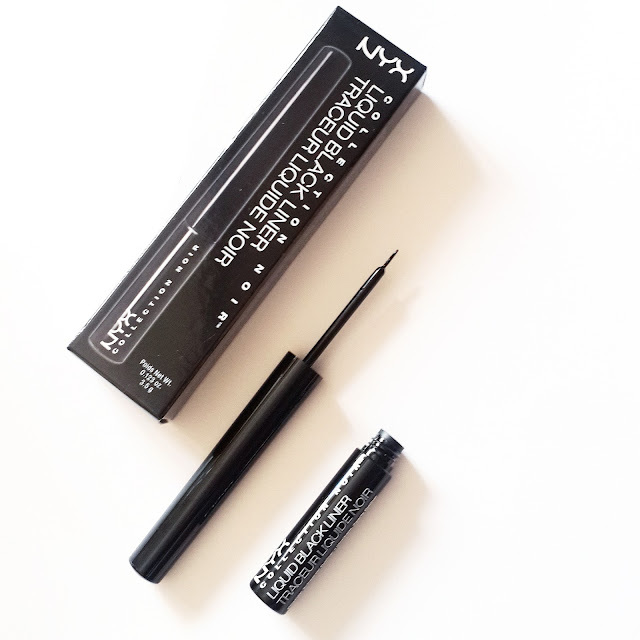 This liner comes of very easily with any makeup remover. 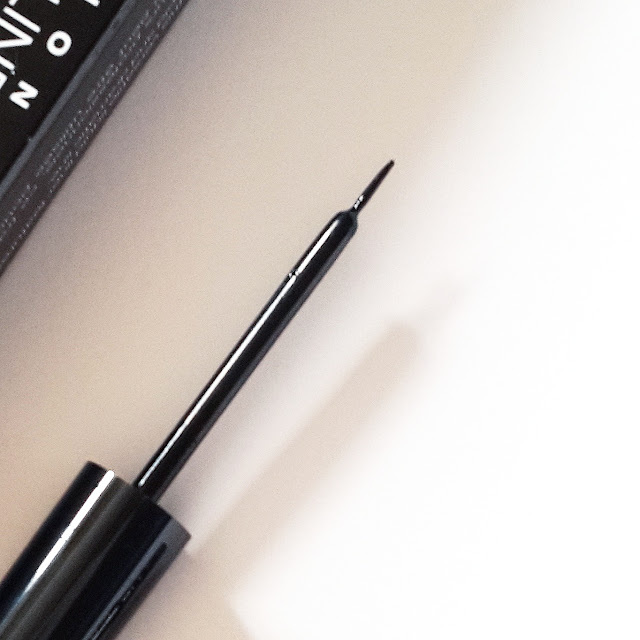 Overall recommended one of the best drugstore liquid liner anyone can have. I am totally going to repurchase it. 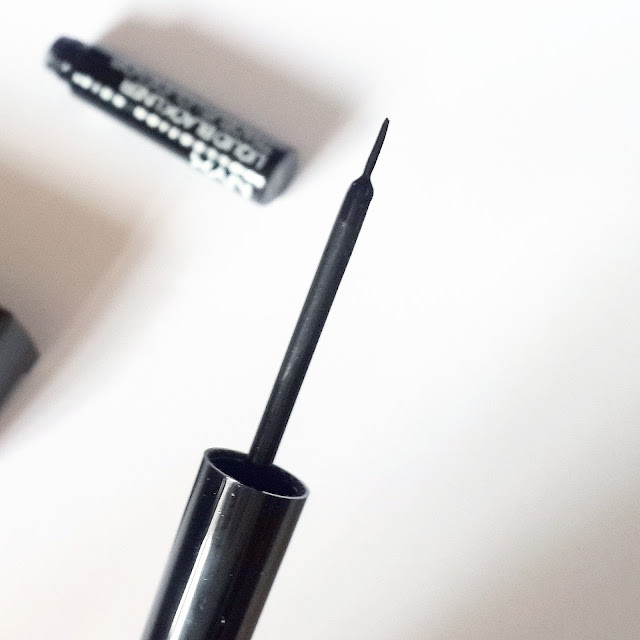 If you need a perfect jet black liner then this one are totally inexpensive and easy to work with.